Here are top 5 celebrity marriage breakups that kept people talking throughout 2017. 2017 was another year where celebrity marriages were tested by time, while some survived others crashed. Here are the top 5 celebrity marriage breakups that kept people talking. Her bloodied and swollen face was everywhere on social media in April. 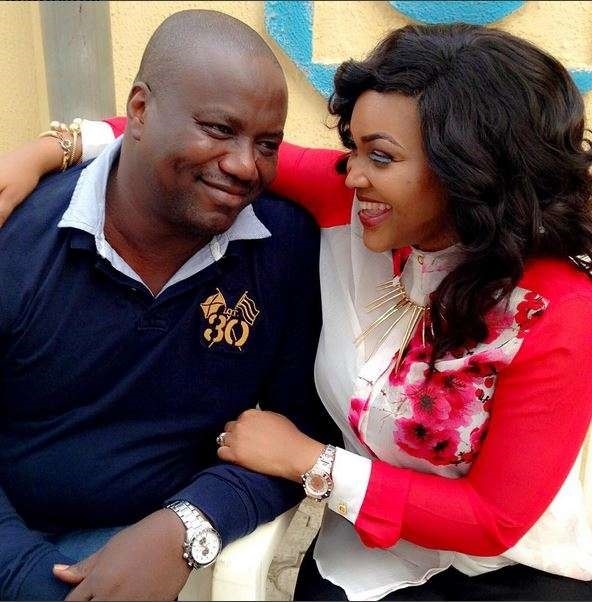 This was a physical signal that Mercy Aigbe’s marriage to Lanre Gentry had hit the rocks. The office of the Lagos State Women Affairs and Poverty Alleviation Commissioner, Lola Akande, took up the matter. The 52-year-old hotelier was subsequently remanded in Kirikiri Prisons in Lagos, and was charged at an Ikeja magistrate court for domestic violence, assault and threat to life. After 7 years, her second marriage came to an end, to a man who was in his third marriage. There union produced one child. Domestic violence was a theme of 2017. Tonto Dikeh joined this train, after she accused her husband in a 'tell-all' interview of physically harming her. Churchill however claimed that Tonto was under the influence of drugs. The duo continued to slander each other on social media, making it the worst celebrity breakup of 2017. Tonto and Churchill met at Escape Nightclub in Lagos during the birthday party of the latter’s brother. Tonto got pregnant 6 months after they met, which led to a glamorous traditional marriage on August 29, 2015 at Tonto’s hometown Rumukani in Rumukwuta, Rivers State. In June 2017, Churchill in company of his uncle, Bishop Dare, met with Tonto ‘s father, Sunny Dikeh, in Port Harcourt in June to retrieve the bride price and end the marriage. They never spoke about it, but there were indications that they had separated, all over social media. The pair tied the knot on February 14, 2015, at the La Villa Boutique Hotel in Accra. After months of speculation and denials, the Ghanaian actor, finally admitted that his marriage was over in September 2017. After six years and 4 children, musician, Muma Gee ended her marriage to Nollywood actor, Prince Eke in 2017. Muma Gee filed for divorce in February, citing domestic violence and infidelity as the reasons. She also disclosed that he proposed to four different women while they were still married, but Prince Eke in return accused Muma Gee of abandoning him with their four children and running off with another man. No one is sure of anything. Record label owner, Ubi Franklin and actress, Lilian Esoro, have chosen to remain silent on the condition of their marriage. Are they divorced or just separated? It is believed that Lilian initially did not want to marry Ubi, and she had indeed turned down his marriage proposal at first, before she was pressured to accept. This was amidst unconfirmed rumours that Lilian was in love with a popular married comedian. They wedded in November 2015 and before their son turned one, they split. It started out as a rumor, which Lilian Esoro confirmed by un-following Ubi Franklin on Instagram, and then removing his name from her Instagram page.